Ignore the fact the basic car first went on sale almost a decade ago Instead, look at the mental riot of a beautiful road car married to genuine race car inspired enhancements, with performance to match. It might seem a cheap shot poking fun at the age of the Aston Martin Vantage, but there’s no escaping the ‘heritage’ of the VH platform. 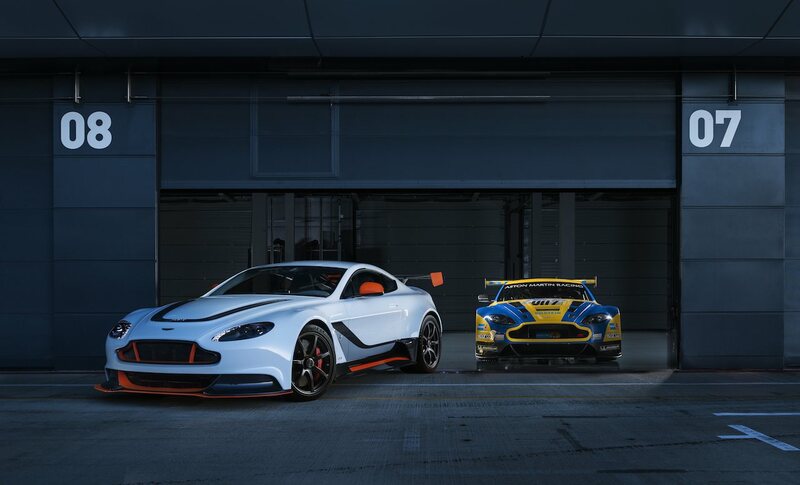 What this does mean is Aston, and their hugely successful GT racing project, have amassed knowledge on how to make the most extreme version of the V12 Vantage to date. Ignore the striking – clearly ESM inspired – orange spoilers and splitters for a moment. Underneath the chiefly carbon fibre bodywork is a version of the glorious 5.9 litre V12 engine producing almost 600 bhp, with 460 lb-ft of torque. Befitting the GT3’s motorsport pedigree is a saving of 100 kgs, dropping the kerb weight to 1,565 kgs. As a result, the performance is impressive – 0-60 mph in 3.5 seconds, and a predicted top speed of 185 mph. Whilst the latter figure may not seem so amazing, the GT3 will be producing substantial downforce from the aerodynamic appendages at that speed. A seven-speed automated manual – read paddle shift – gearbox feeds the rear wheels, using a special magnesium torque tube with carbon fibre prop shafts. Contributing to the GT3’s diet is the extensive use of carbon fibre, with the lightweight material used for the widened front wings, bonnet and door casings. A carbon fibre roof is on the options list (tick it), along with polycarbonate rear windows should you really want to up the race car ante. 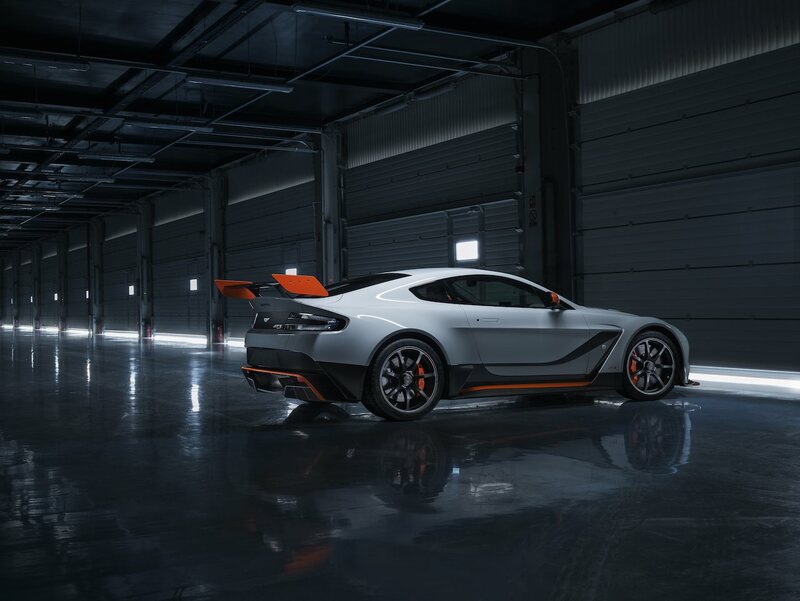 Naturally, the prominent rear spoiler, diffuser and extended front splitter are all made from carbon fibre, with titanium used for the exhaust system. Even the battery is replaced for a lighter lithium-ion unit. 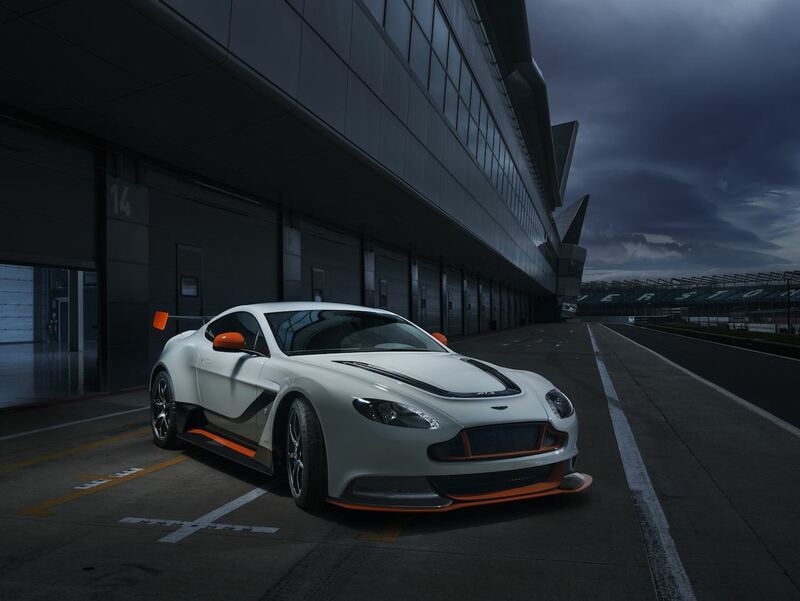 It’s refreshing that Aston Martin has resisted the temptation to simply stick a styling kit to a regular V12 Vantage and be done; the 100 examples of the GT3 have true race-bred design running throughout them. Leather door pull – like a Porsche GT3, but more refined. Metaphor for the whole car? Inside is, predictably, a prominent combination of Alcantara trim and carbon fibre detailing. The centre console gets a liberal application of carbon, as do the door casings and tasty bucket seats – clad in Alcantara of course. The grippy synthetic suede material also covers the steering wheel and roof lining, whilst there’s some rather lovely leather door pulls. Standard specification is not race car bare, however. Satellite Navigation, automatic windscreen wipers, DAB radio and Bluetooth connectivity are just some of the features.